LONDON (AP) To say that Kevin Anderson won this interminable Wimbledon semifinal, and that John Isner lost it, didn’t really seem fair. To Anderson, anyway. 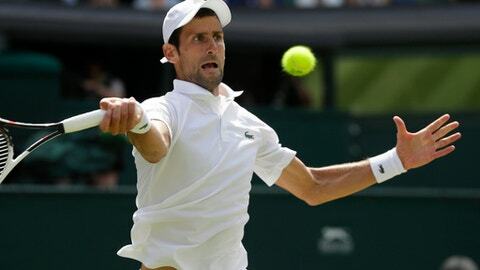 ”The effort they both put in and the performance and the guts, the way they competed – a lot to be proud of,” said Justin Gimelstob, one of Isner’s coaches. Repeatedly, the answer was, of course, ”No,” even when Anderson held break points at 7-all, 10-all and 17-all. The 10-all game ended with Isner hitting a forehand passing winner on the run to hold, then letting his momentum carry him directly to his sideline chair, where he plopped himself down.